Disclosure: I received product in exchange for my time, all thoughts expressed are my own and may not reflect the brand or others. I get asked quite often how I manage to run a business and homeschool my kids. To step into my life for a day would probably scare most people. Let me first say I don’t do it all alone, my husband has a huge part in our day-to-day. If he was not a work-from-home parent as well, I would not be able to handle this alone. I go to bed each night with only a sliver of hope I will accomplish half of my to do list. 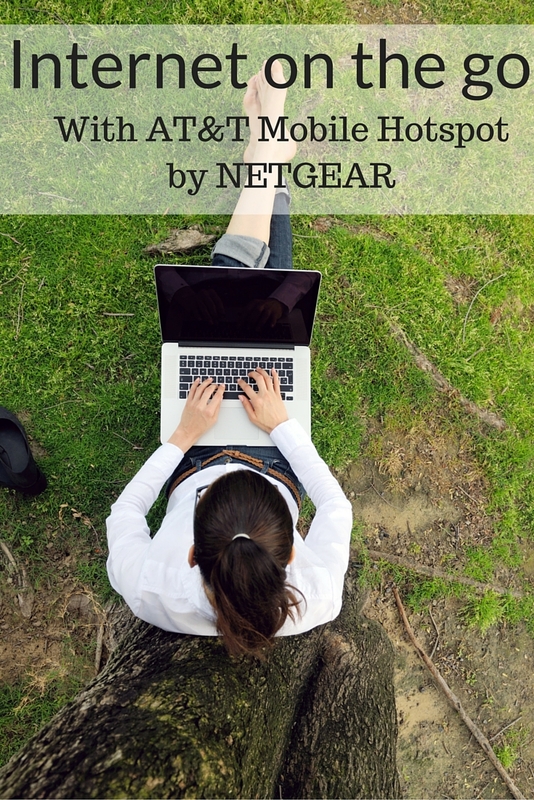 I keep the productivity of my work flowing with my AT&T Mobile Hotspot by NETGEAR . With three kids, I am constantly running here and there for activities and sometimes just to get them out of the house. Some of my most productive work has happened under a tree steps away from my son’s baseball practice. It’s amazing how creative I have become squeezing work in-between school and entertaining my boys. Thanks to my AT&T Unite Express mobile hotspot, I always have a secure wifi connection allowing me to keep up with deadlines. My mobile hotspot provides Internet on the go for not just me, but my entire family. We can have multiple devices sharing wifi at the same time. Our last road trip was five hours long one way. Had it not been for mobile hotspot, we may not have had such a successful and relaxing drive. No contract! Just buy data as you need it. No monthly fee! Purchase PREPAID data cards at major retailers or online. At $79.99 this is a budget friendly device. Purchase with no annual contract, no credit check, and no monthly commitment. Expansive coverage keeps me connected almost anywhere. No need to have the same carrier as your home service. AT&T Unite Express for GoPhone mobile hotspot by NETGEAR is available on Amazon, BestBuy, Target and Walmart.